Ed Sheeran is a busy man, but that doesn't mean that he hasn't started to have a little think about the future. 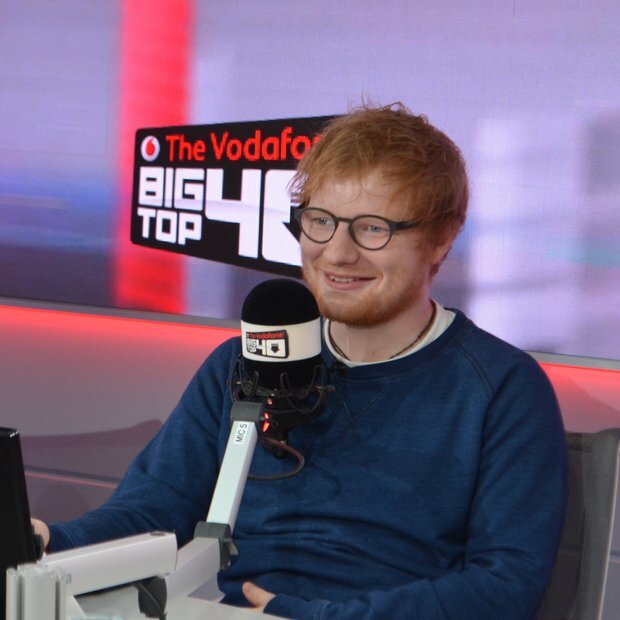 It has to be pretty comfy for Ed Sheeran up at the top of the Vodafone Big Top 40 at the moment. Not only is he topping the chart with 'Shape Of You', his only competition is himself! 'Castle On The Hill' is the only single anywhere close to grabbing the top spot for itself. So it doesn't surprise us that Ed's given a little thought into the idea of having kids (well, he has had a YEAR off!). Ed revealed, "I'd love to have loads of babies", however he added it won't be any time soon, "because you know, i'm not really around". His relentless touring schedule however doesn't seem to be something that'd hold him back from having kids, adding, "I would have a tour bus baby, but I'd have a tour bus baby when the tour is not that intense. The tour that's about to come up is quite intense." Did you hear that though..."the tour that's about to come up is quite intense". A TOUR!? YES!